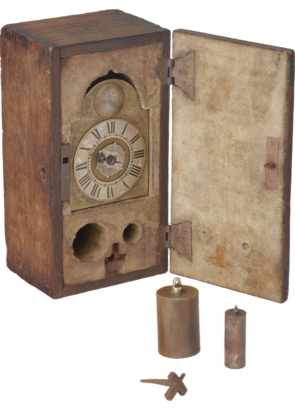 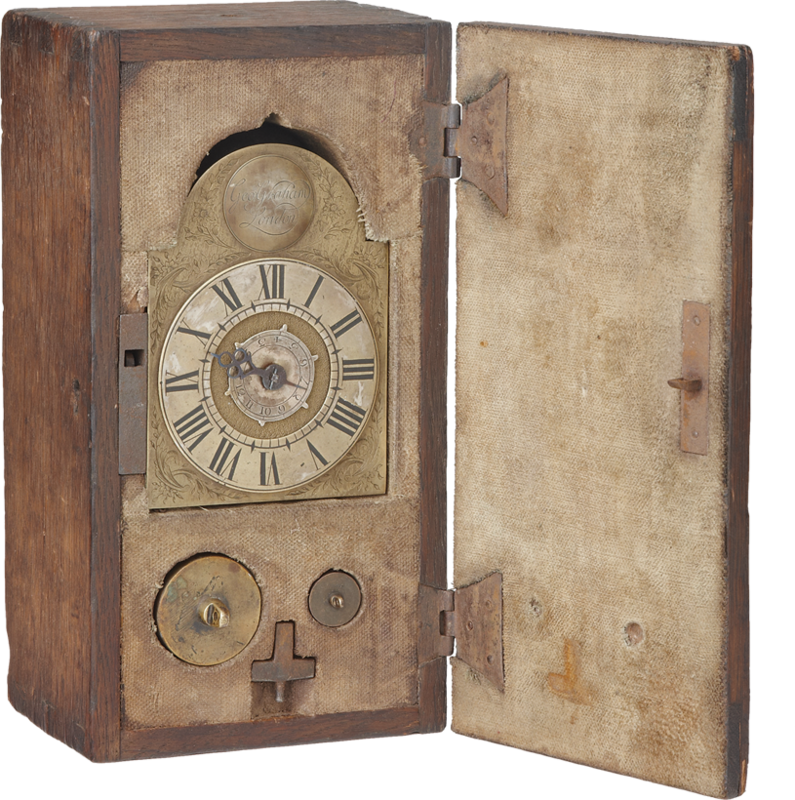 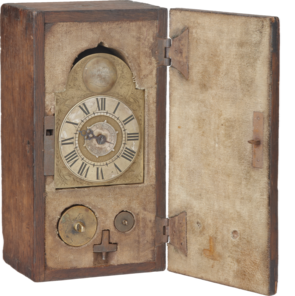 An extremely rare and complete 18th century travelling alarm clock by this famous maker partner to Thomas Tompion. 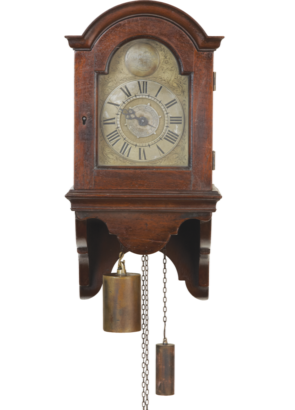 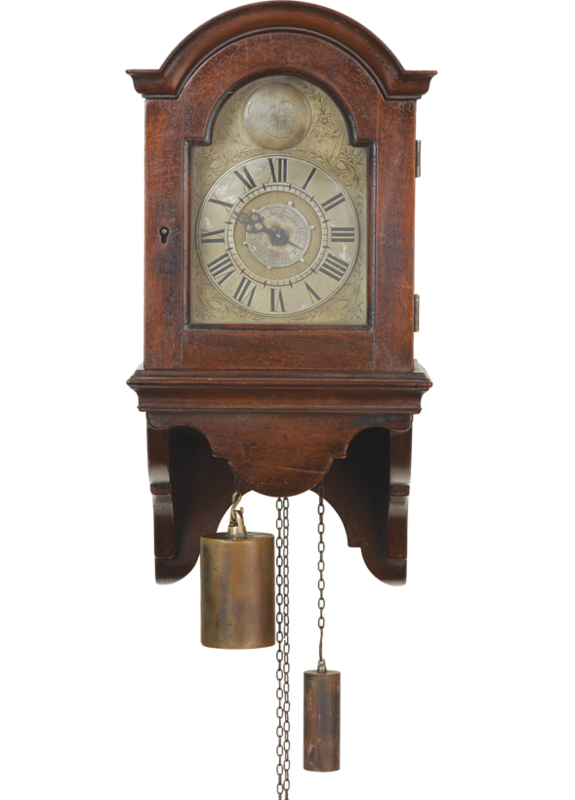 The movement with verge escapement and alarm, the dial signed George Graham, London, to the arch and with the alarm dial set to the centre, the brass case with sliding side doors and original chains for the going and alarm trains. 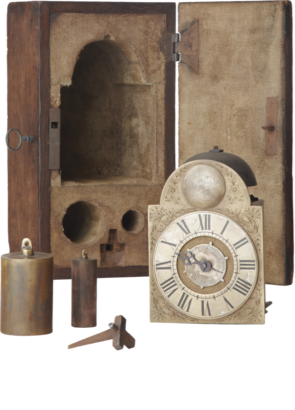 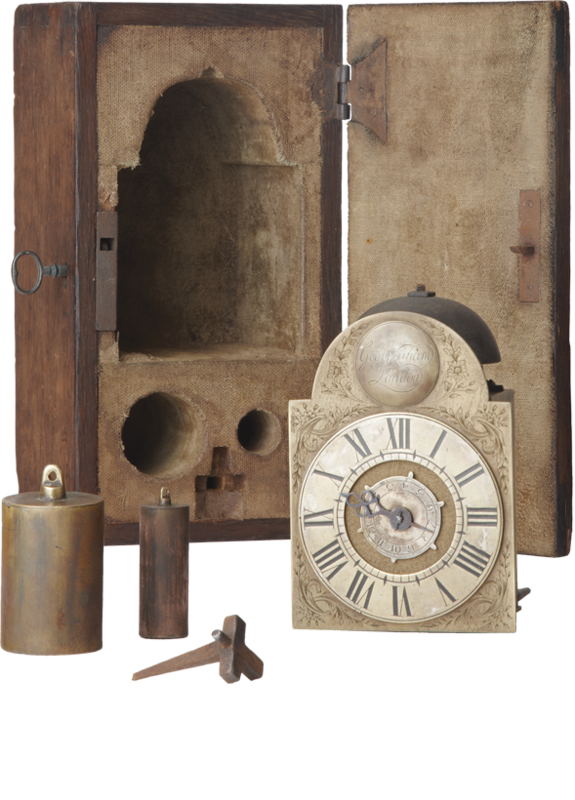 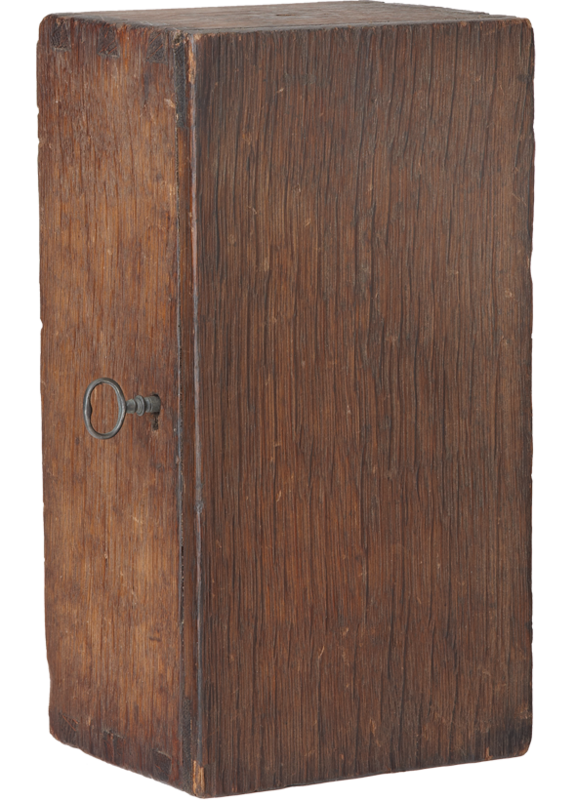 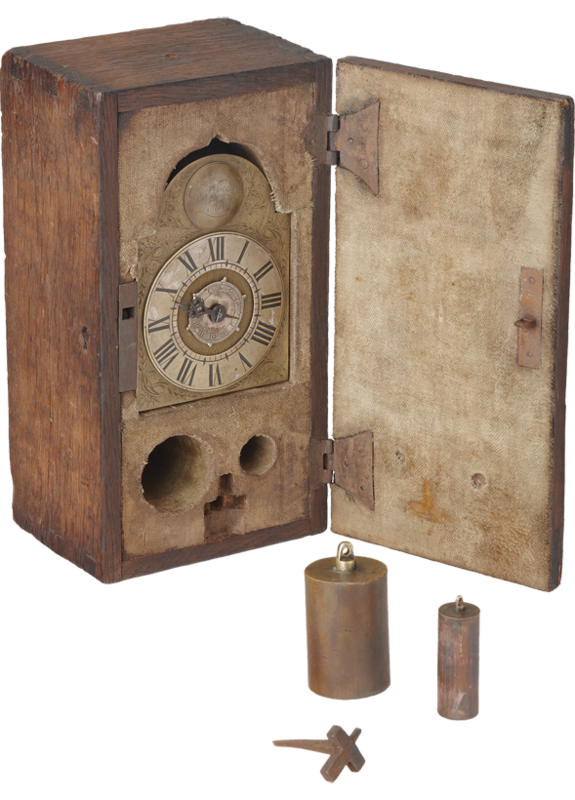 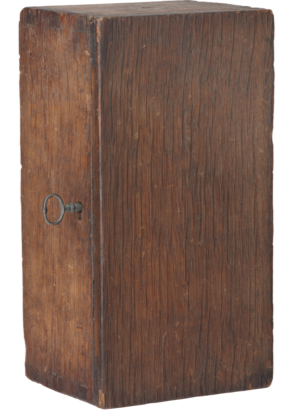 The original oak travelling box housing the clock, weights and nail for hanging the clock, the clock also with a mahogany wall case for returning the clock after travelling.